Hannah Elise: Internship : deadline extended! Hope you all are having a beautiful weekend so far! however, I do still have a couple spots available!! Click HERE for the full details, and to apply just fill out THIS APPLICATION and e-mail it to hannah@hannaheliseblog.com. Earlier this week I got to document a birth which was just incredible..I mean, look at their expressions over baby sister! happy Easter!! so much to celebrate because of His death + resurrection, amen?! Ah Hannah! I would LOVE to, but I don't think I can take that time off from work..:/ maybe next time! Wish taxes/government weren't going to be sticking their hands in my little piggy bank cause I would realllllllly love to do this!!! AGH! I love this picture so, so much!! This photo is precious! 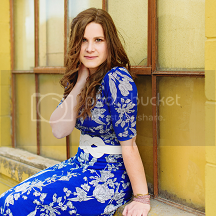 ♡ I can't wait to see the rest of them! !